The final race of the 2013 Formula One World Championship takes place at Interlagos in Sao Paulo on Sunday 24 November. Nico Rosberg: The weather forecast for Interlagos looks interesting this weekend and if it does rain, that would be a good opportunity for us as our car is generally quick in the wet. I’m really looking forward to the weekend and everyone at the team is hoping for a great result to end the season on a high. It would be fantastic to achieve second place in the Constructors’ Championship to give all of the team here and back at the factories in Brackley and Brixworth an early Christmas present! Lewis Hamilton: It’s difficult to believe that the final race of my first season with Mercedes AMG Petronas has come round already as this year seems to have flown by. We know what we have to achieve this weekend in Sao Paulo and everyone is so fired up to have a good weekend and to be in that second place in the Championship on Sunday afternoon. I had a good race in Austin and it felt great to get that under my belt before the end of the season and I’m really looking forward to Brazil. Interlagos is such a unique track in its location and layout, and I have some great memories from previous races there. The passion of the Brazilian fans is amazing and it’s fantastic to see their support over the weekend. We’ll be hoping for a smooth weekend but it’ll be interesting to see how the predicted weather develops. Ross Brawn: Sao Paulo is always a very special place to bring the Formula One season to a conclusion. The passionate Brazilian fans at Interlagos make for a wonderful atmosphere and the races can certainly be entertaining. The early forecast looks for a mixed set of weather conditions for the weekend which will make our job tougher but that’s the challenge we all thrive on. Our team had a solid rather than spectacular weekend in Austin which nonetheless improved our position relative to our competitors in the fight for second place in the Constructors’ Championship. Our aim for this weekend is to maintain that second place with a strong showing from Nico and Lewis, and it goes without saying that we would all be delighted if that goal could be achieved. 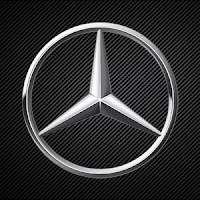 Toto Wolff: We know that races in Interlagos can be unpredictable, both because of the circuit layout and also the weather conditions. So there is no question of complacency or thinking the job is already done. We will work in our usual calm, efficient way to deliver the potential of both cars and secure second place in the Championship. Like always, we will be racing hard to score the maximum number of points possible and end our season on a high.